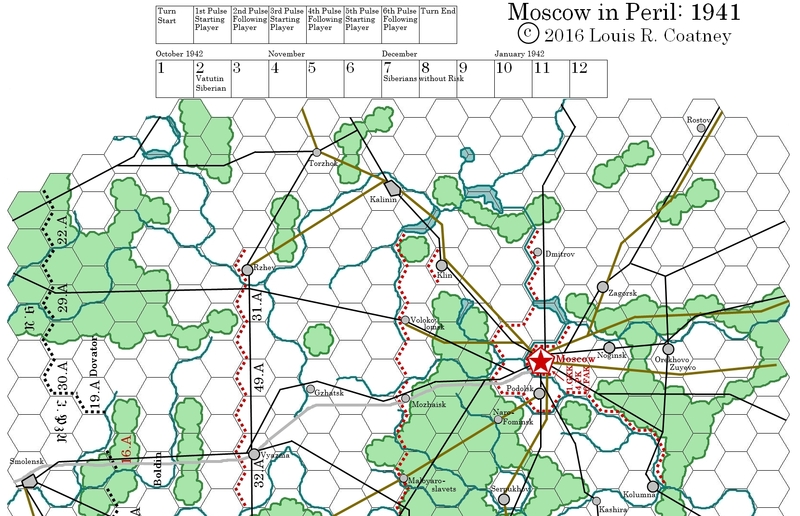 An individual is free to make one personal copy of Moscow in Peril: 1941, for his/her own personal use. A. The peoples of the former Soviet Union and of Poland who fought and won the biggest war front against Nazi evil. B. The Russian people who lived in the path of the Nazi war machine and who suffered so terribly during "Operation Typhoon." 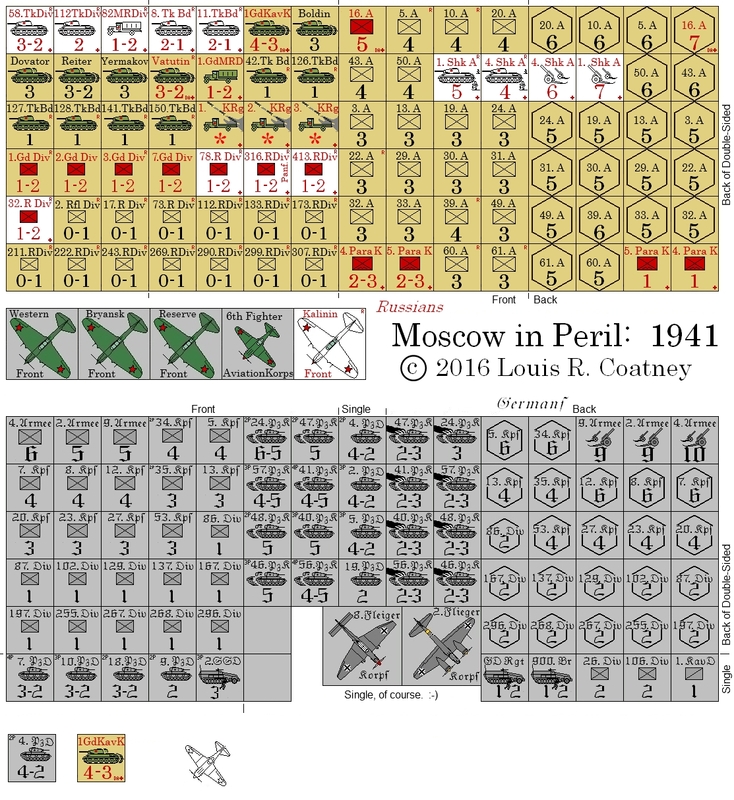 And now: Here are Moscow In Peril: 1941 components, to print off and assemble so that it may be played. Players-students will also need a single six-sided die (or chits numbered 1-6, to be drawn out of a hat) for the randomized combat results tables. Rules in Rich Text Format. These will probably be revised frequently, with feedback. I'm posting their date on them. 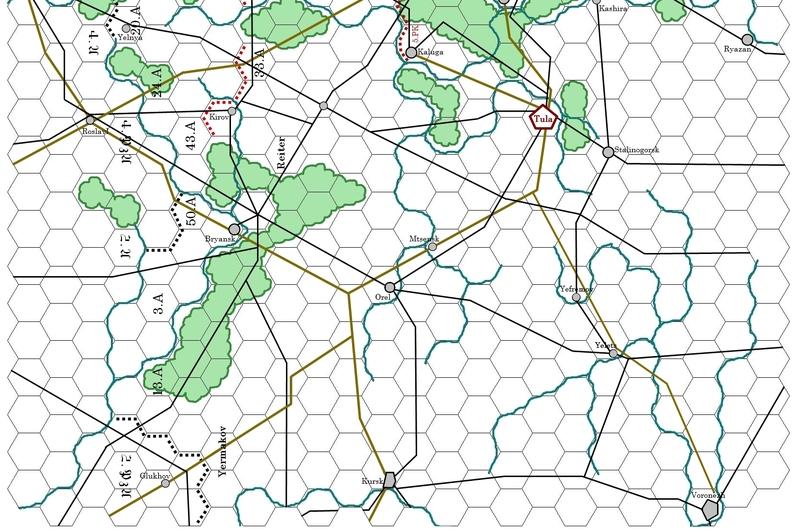 The colored map - northern half for a larger mapboard. The colored map - southern half. Moscow In Peril units - stronger Russians. ... preferred. Moscow In Peril units - weaker Russians. More comments by myself and others about the game can (soon?) 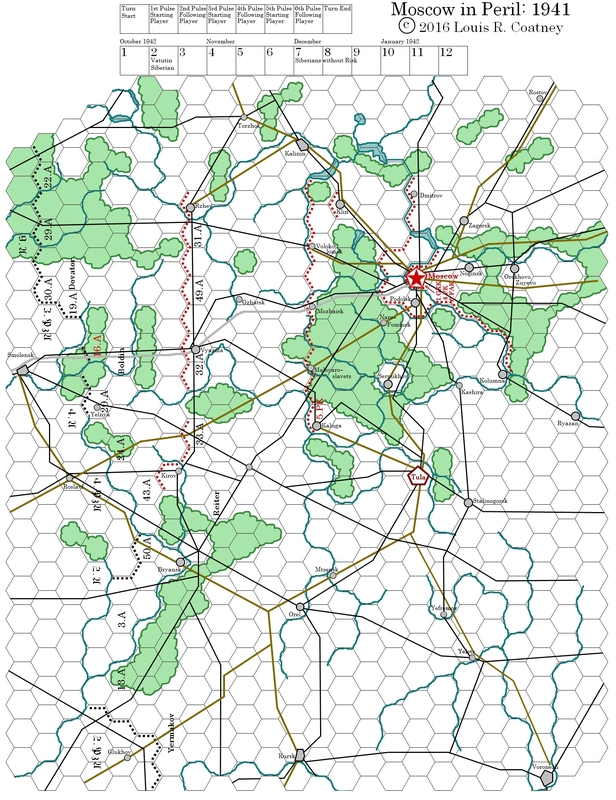 be read on href="http://talk.consimworld.com and href="http://www.boardgamegeek.com.